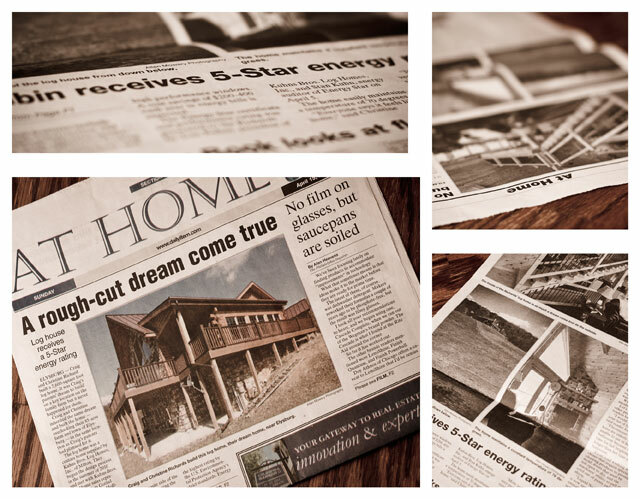 This past Sunday, our local newspaper, The Daily Item, ran a story on the cover page of their special At Home section featuring the newly-constructed, energy-efficient home of area residents Craig and Christine Richard, using a selection of my photography for the piece. This home, overlooking the couple’s 85-acre farm, received a 5 Star + energy rating, the highest rating by the U.S. Environmental Protection Agency’s standards, due to the design, construction, and materials used to build the home. The photography they chose to use were magazine scouting shots I had taken to send to a national publication for an anticipated feature story in an upcoming issue. While they work well for the piece, they weren’t intended for publication. So, in essence, it’s a photographer’s equivalent of showing up naked at your high school reunion as a middle-aged woman without makeup — nothing inherently wrong with it, but still a bit awkward and embarrassing.